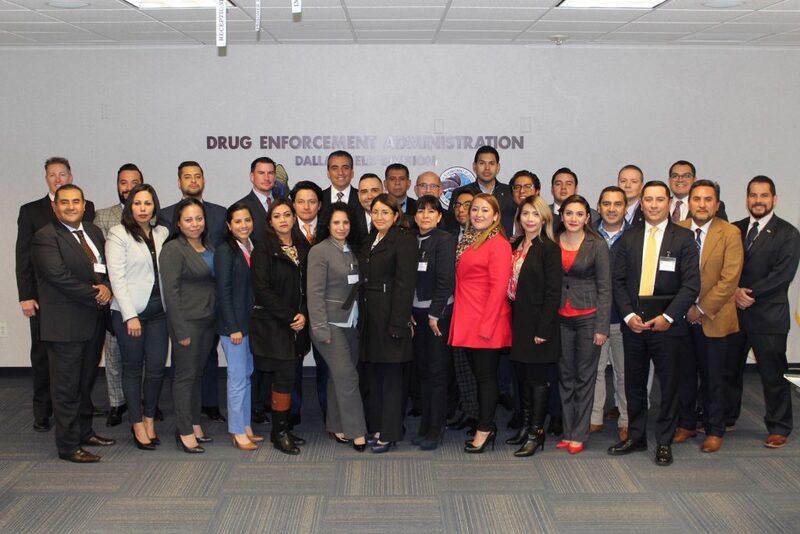 PLANO, Texas – U.S. Attorney Joseph D. Brown announced today that 20 Mexican prosecutors will be in the Eastern District of Texas this week observing and learning about the United States federal judicial system while visiting the U.S. Attorney’s Office and the federal courthouse in Plano. The visit is in coordination with the Department of Justice’s Office of Overseas Prosecutorial Development Assistance and Training (OPDAT) and reflects U.S. Attorney Brown’s commitment to helping fight organized crime at its source. Established in 1991, OPDAT builds strong foreign partnerships that can work with the United States to enhance cooperation in transnational cases and to fight crime before it reaches our shores. OPDAT provides expert assistance to foreign counterparts to help develop justice systems that can effectively combat transnational crime, corruption, and terrorism in furtherance of United States national security. Drawing primarily upon federal prosecutors from the Department of Justice and United States Attorney’s Offices, as of April 2017, OPDAT had 58 Resident Legal Advisors and Intermittent Legal Advisors posted in 47 countries. In helping to keep Americans safe from violent crime, OPDAT works closely with components throughout the Department of Justice, and partners globally with the International Criminal Investigative Training Assistance Program and with federal law enforcement agencies, including ATF, DEA, FBI, and United States Marshals. The United States and Mexico have identified key criminal activities that are linked to organized crime, such as narcotics trafficking, money laundering, public corruption, and human trafficking. These criminal activities endanger the security and prosperity of the United States and Mexico. Accordingly, the United States and Mexico are working to strengthen their cooperation to effectively combat these international criminal organizations. * Developing joint capacity building and training programs for public sector actors responsible for criminal investigations and prosecutions, with a particular focus on organized crime, narcotics trafficking, money laundering, asset forfeiture, and public corruption. The Eastern District of Texas looks forward to welcoming these visiting prosecutors on Nov. 14-15, 2018 knowing that the visit will advance the goals of this collaborative effort between the United States and Mexico.